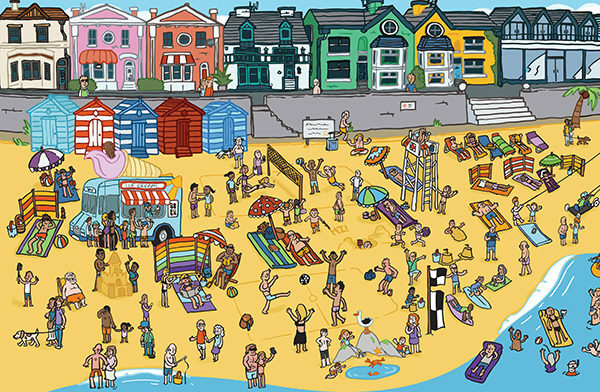 I was recently commissioned by Travel Supermarket to create a beach panorama to support their latest blog article based around ‘Forgotten holiday items’. It was also used on their Facebook page as a 360 degree panorama. It features 10 missing items to find and it’s probably the largest illustration I’ve worked on so far!